Sunday 9th June 2019 - Registrations now open! The name Lacock dates from Saxon times when the earliest permanent settlers lived by the Bide Brook, which runs through the middle of the village. They called it lacuc or 'little stream'. The medieval landscape was dominated by Melksham Forest, which came right up to the village and stretched for 33 miles to the south and east. Settlement began around the church, reflected in the irregular line of Church Street, but the rest is a medieval planned town, deliberately laid out on a grid of the other streets which can be seen today. There is much to see and enjoy once the events have finished! There is a race specific car park for the event which costs £2 per car. As the event is not affiliated with the National Trust, they have asked that runners do not park in the NT visitor car park which is reserved for Abbey visitors. Toilets and baby changing facilities are located by the Stables café, only 50 yards from the Abbey entrance and very close to the race start. There will be additional toilets brought on site by the race organisers. There is a children's play area, National Trust shop and many great places to eat in this historic village. Step back in time at the wonderfully preserved National Trust Village of Lacock. With its central grid of four streets, Lacock today looks much more like it did 200 years go. Its oldest house it older than the thirteenth century abbey but since the loss of the village's main source of income from wool in the nineteenth century, new development has been minimal. The medieval landscape was dominated by Melksham Forest, which came right up to the village and stretched for 33 miles to the south and east. Settlement began around the church, reflected in the irregular line of Church Street, but the rest is a medieval planned town, deliberately laid out on a grid of the streets which can be seen today. There is much to see and enjoy once the events have finished! There is a race specific event car park for the event which costs £2 per car. 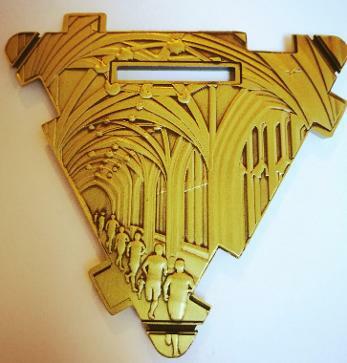 As the event is not affiliated with the National Trust, they have asked that runners do not park in the NT visitor car park which is reserved for Abbey visitors. Toilets and baby changing facilities are located by the Stables cafe, only 50 yards from the Abbey entrance and very close to the race start. There will be additional toilets brought on site by us and positioned in the event village. There is a children's play area, National Trust shop and mange great places to eat in this historic village. Please note that whilst the National Trust village is playing host to the race, the Lacock Abbey itself is a pay to enter attraction there is much to see including the Abbey, Rose Garden, Orchard and Museum. Find out more about the village, places to stay and visit during your trip for the race on the Lacock website and the Visit Lacock website. 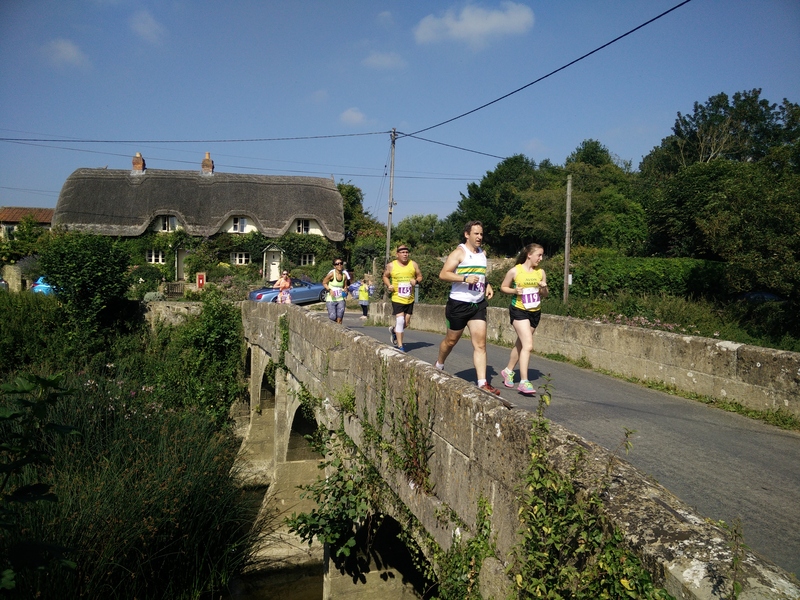 This is a fully CLOSED ROADS event taking in the tranquil and picturesque lanes of the Wiltshire Countryside and through the historic streets of Lacock itself. 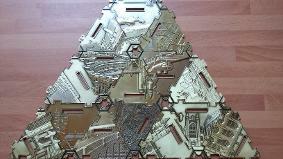 It is an ideal race for the first time runner and you can expect to post a good time on this flat course. The 10km and Half Marathon route are officially measured accurate courses. The race starts on the village green opposite the Abbey. The route heads out of town and over some lovely stone bridges over the river Avon. There is a slight rise before the first turn coming in at 10km. Beautiful country roads wind road to the hamlet of Reybridge with lovely thatched roofed buildings lining the narrow streets. Once through Reybridge the run will come back round ito Lacock itself and run along the historic side streets as well as up and back along the main high street. This a 1 lap course for the 5km, 2 laps for the 10km and 3 larger laps for the Half Marathon will have a larger looped section at Reybridge to ensure an accurate distance. 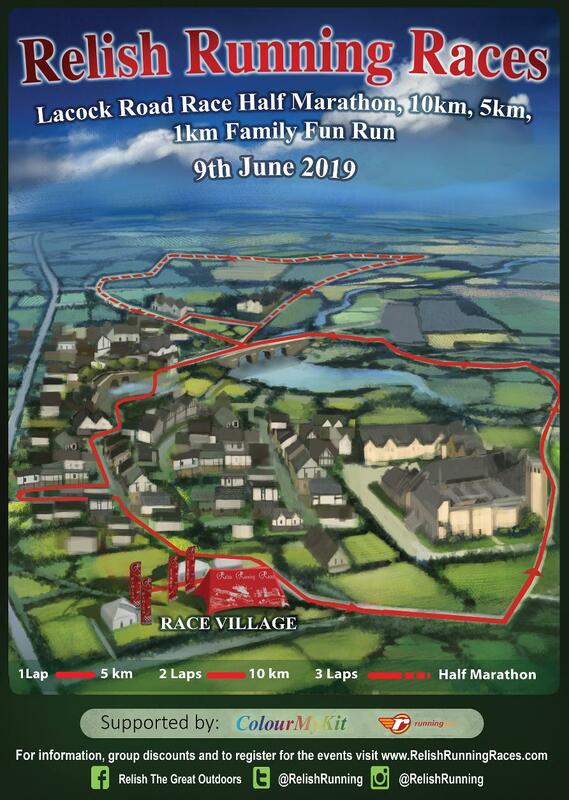 The 1km family fun run will be a lap course through Lacock Village. The minimum age to run unaccompanied is 8 years old. 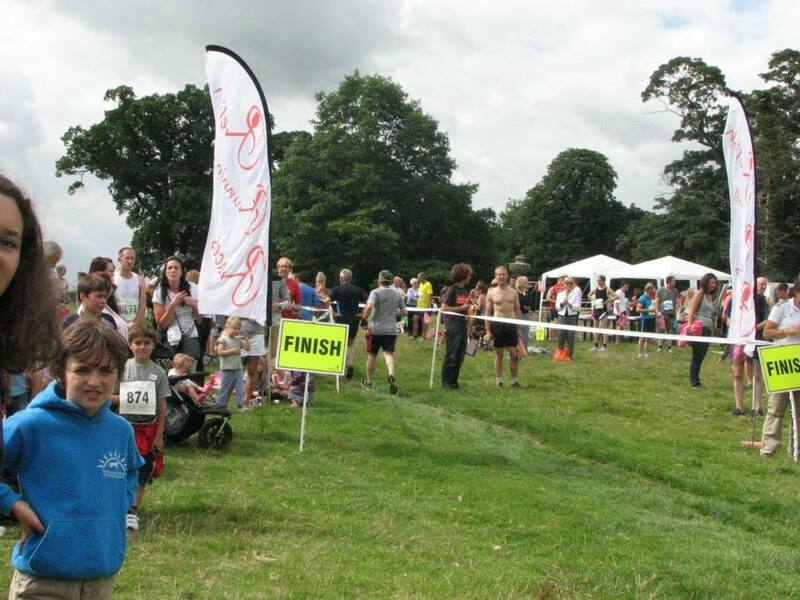 Children younger are welcome to run if they are accompanied by an adult who is over the age of 18. There is no charge for adults accompanying children, unless they wish to collect a medal, in which case we ask they register as usual. This event is suitable for buggy runners but please note there are a couple of narrow sections, including a raised footpath without a fence. Many runners have run with buggies in the past, including double buggies, but please do take extra care. As we don't know the dimensions, wheel base, of your buggy we can not comment on the suitability of your buggy. This event is not suitable for Canicross. Please note on the day registrations are £2 extra per person.